Lucy joined her first Pooch Walk today. She had already heard of the “legend” of the Charlie Brown. All that was left was to join the club. A decent effort Lucy…practise makes perfect…! You never know what you will see on the Pooch Walk. This entry was posted in Dogs, Musings and tagged Charlie Brown, doing a Charlie Brown, Lucy, Shepherd Retriever. Bookmark the permalink. What on earth? Did she fumble or what? 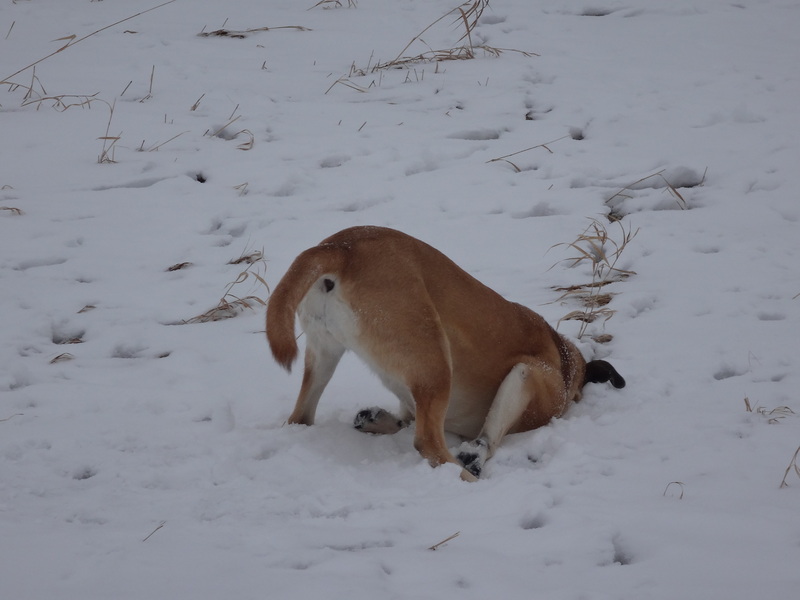 No fumble…it was all Lucy’s own work…she plunged her head into the snow and then had a good roll around with her legs in the air…a “Charlie Brown”…with a touch of Ruby roll.